He Loves. He Gives. We Believe. We Live. 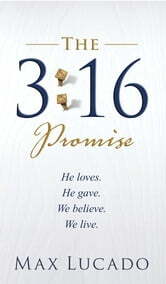 Building on stories and illustrations from 3:16 The Numbers of Hope by Max Lucado, this 64-page evangelistic book leads the readers word-by-word through John 3:16, the passage that he calls the "Hope Diamond" of scripture. It's the perfect way to introduce the gospel to friends and acquaintances through Max Lucado's warm and easy to understand writing style. 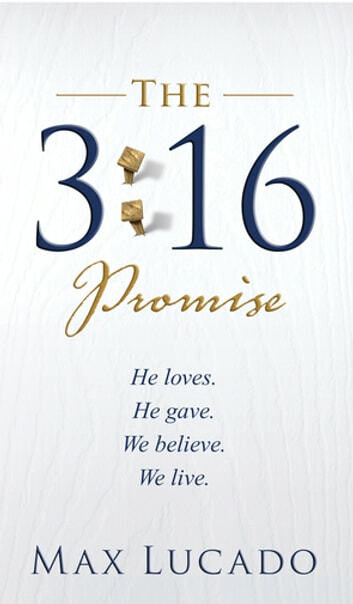 Experience God's grace and plan of salvation for the first time or use this booklet to share the message of hope with someone you know. Well,this is Max at his best.His style is always warm and clear,as God would have it.I encourage any of my facebook friends to read this.